I should say that I love this! Thanks, Griff! 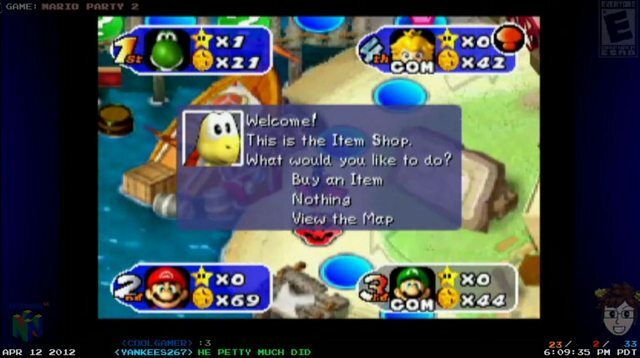 It still hasn't been properly riiplayed since Steve ragequit. Maybe Wyvern should play it! In an effort to relieve spam bots, I've pruned the board of all users with 0 posts. That means any account with 0 posts has been deleted. If you had an account, but didn't post, you will need to reregister. My apologies if this inconveniences you, but it's for the best! RenTimH wrote: Is that a code for the server or is that the new address? Topic: We need your opinion! Mother 3 Kid Icarus Reference! You might as well just change the rules to "Take a drink 6 times per round"
I've almost lost faith in the console market. This is their last chance. Topic: New Segment Idea: Cooking TomBob? Re: New Segment Idea: Cooking TomBob? Tom, have you got a camera that will reach that far? Maybe we could have themes; Pasta + Mario, for instance! During one of the segments, you HAVE to play Burger Time! Sounds good, but Twitch might hate you for it. 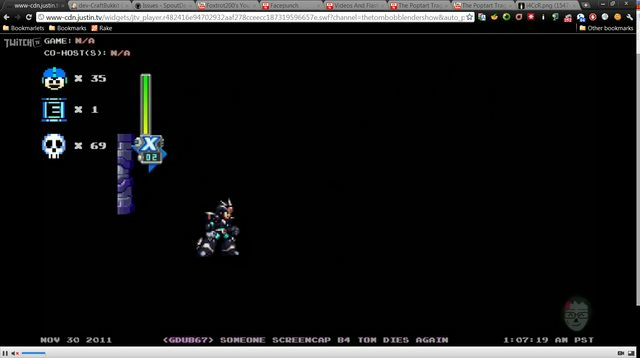 Perhaps you could have someone like Wyvern play a game and you could put it in the corner of the screen or something? I've created a Google Moderator series to help collaborate suggestions and address concerns better within the community. There, you can make suggestions that other community members can vote and comment on where they will be seen by Tom and me. 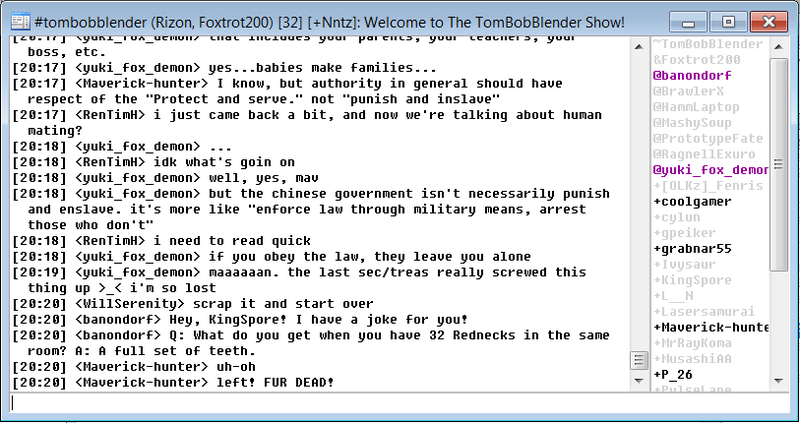 "I, Foxtrot200, agree to the rules and expectations as outlined for use on the TomBobBlender Show's Mumble Server and will be held accountable towards any violations without question." <BrawlerX> is your mom visiting?